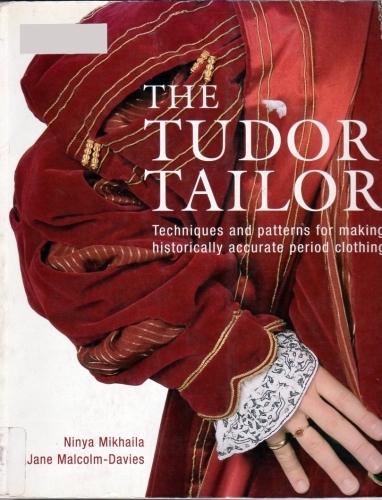 Cover: The Tudor Tailor, by Ninya Mikhaila and Jane Malcolm-Davies. Paperback. Image for review purpose only. Do Not Copy. 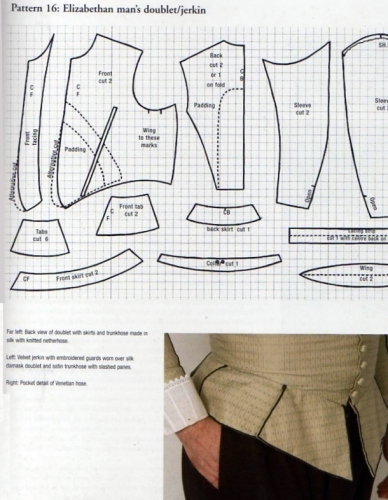 The Tudor Tailor: Techniques and patterns for making historically accurate period clothing, by Ninya Mikhaila and Jane Malcolm-Davies with additional research by Caroline Johnson and illustrations by Michael Perry. First published 2006, reprinted 2008. From Quite Specific Media Group. Ltd. 9 by 11 inches, 160 pages. 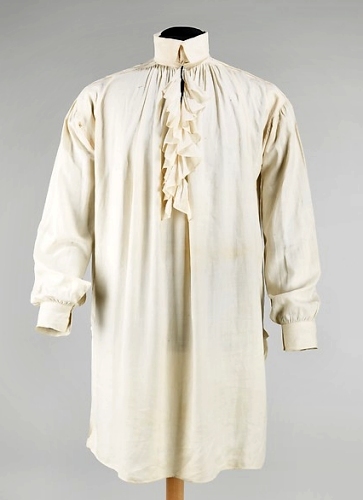 It includes Tudor clothing for all social classes, from the reigns of Henry VIII through Elizabeth I. 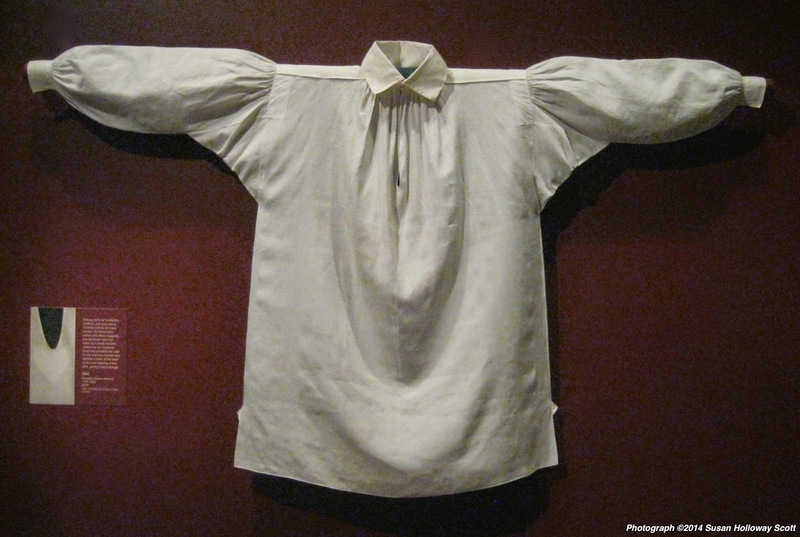 Photos of Elizabethan Man’s clothing, from The Tudor Tailor. Image for revies purposes only; please do not copy. I found this book at the library and took it home on impulse. I haven’t used it to make garments, but I would have been happy to have it when I was making 16th century costumes twenty years ago! I am very impressed with its organization, its content, and the authors’ generosity. 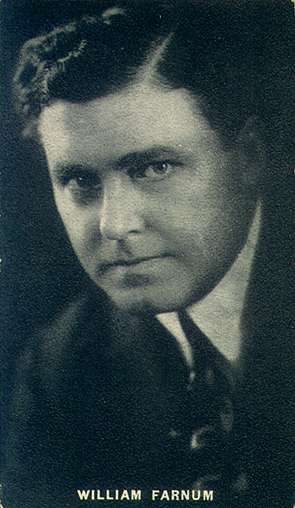 Mikhaila and Malcolm-Davies (JMD&Co.) 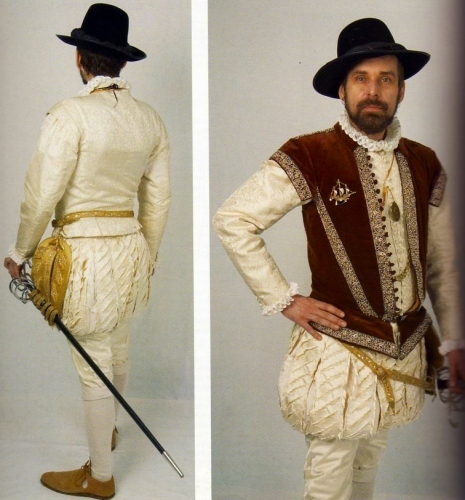 are in the business of supplying historically accurate clothing and docent training to places like Hampton Court Palace, the National Trust, and other Historic Royal Palaces. The fact that they are eager to share their research, their suppliers, their patterns, and their construction techniques with the rest of us makes this book extraordinary. 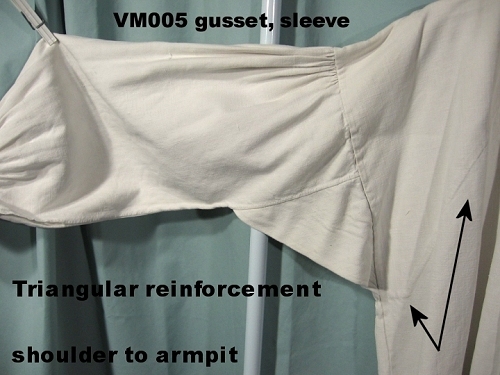 (They also realize that not everyone can — or would want to — work to the standards demanded of them; their instructions will make sense to home stitchers.) 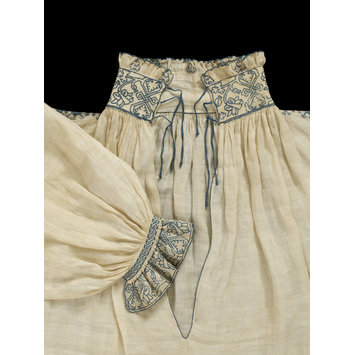 The book has patterns for men and women, including undergarments and headdresses: ruffs, a supportasse, French and Spanish farthingales, “bodies” (corsets), hose, trunkhose and Venetians, kirtles, partlets, jerkins, doublets, gowns, shirts and smocks. Part of a typical pattern illustration from The Tudor Tailor. Image for review purpose only; do not copy. The patterns are gridded, so you can enlarge them. (Add your own seam allowances….) 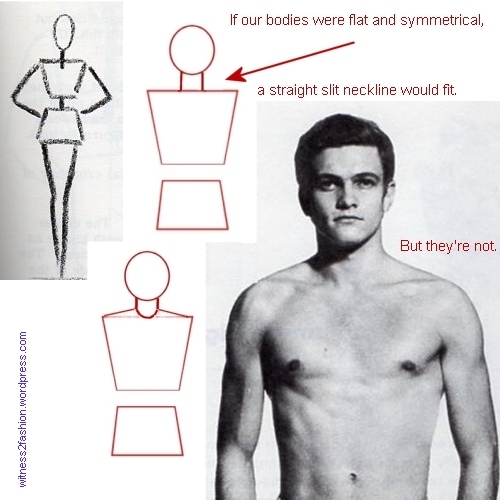 The women’s patterns are sized for bust 36, waist 28, and hip 38″ — “a modern size 12-14.” The men’s patterns are sized for chest 38″, waist 34″, height 5′ 7″ to 5′ 10″. 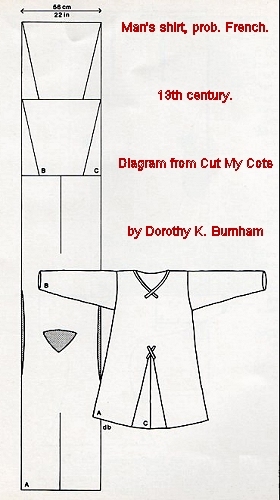 The chapter on Using the Patterns includes photos & instructions how to make them larger or smaller. 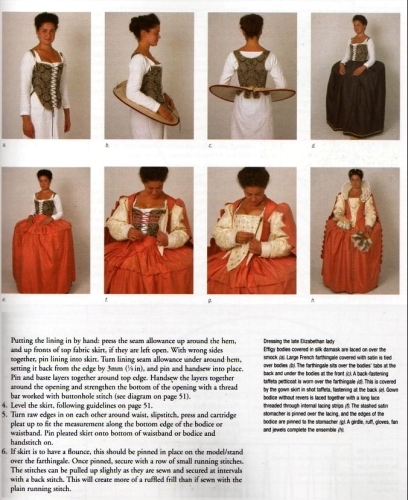 Typical page about dressing in period clothing, from The Tudor Tailor. Please do not copy this image. 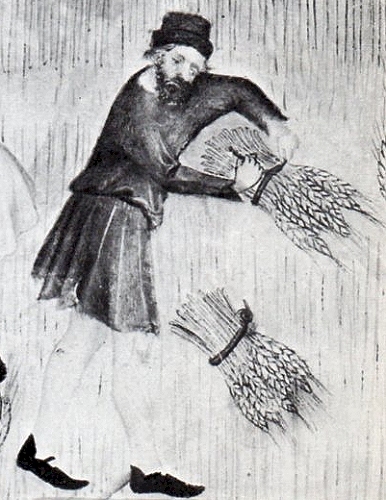 The first section of the book, Making a Start, reminds readers that Tudor society included workers as well as aristocrats. 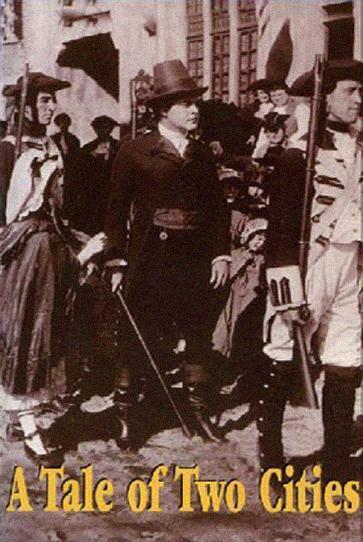 Chapter 2, Clothing the People, and Chapter 3, Looking the Part, share a great deal of period research and photos of primary sources. Chapter 4, Choosing the Materials, includes a chart that defines Tudor fabrics, dyes, colors, and where they usually fit on the social scale. In case your local fabric store doesn’t carry stammel, lockram, or frizado, Chapter 5, Constructing the Garments, suggests appropriate modern fabrics. The next 99 pages are patterns. Part of back cover, The Tudor Tailor. This book is really very well done. The authors have made every effort to share their knowledge and experience. Available from Quite Specific Media for $35. This publisher also lists several other widely used “costume shop” books, plus fashion histories. 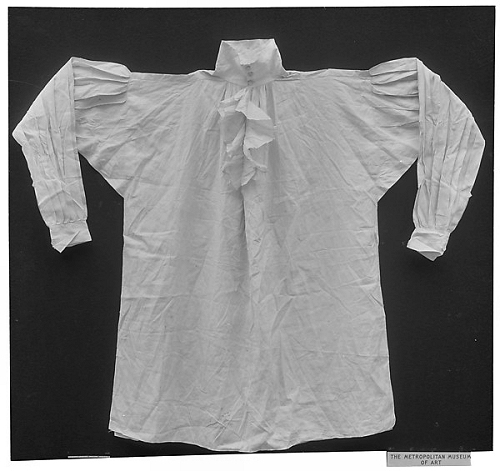 I have already recommended Janet Arnold’s Patterns of Fashion 3: The Cut and Construction of Clothes for Men and Women c. 1560-1620, which has gridded patterns taken from historic garments in museum collections. 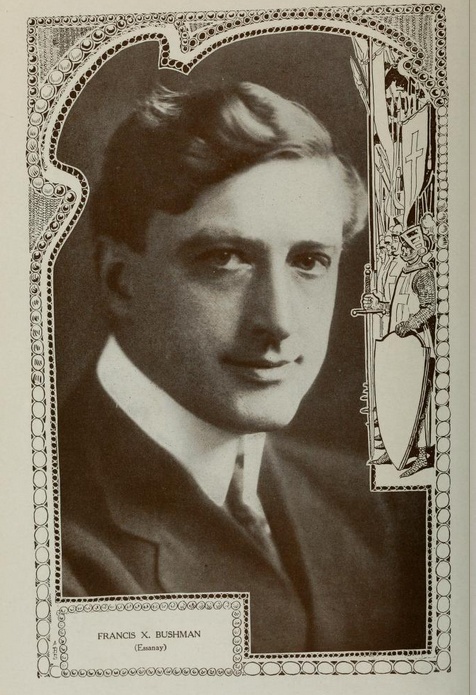 It also contains a great deal of research, black & white photos, etc. It is also published by the same company: Quite Specific Media, which includes Drama Publishers and Costume & Fashion Press. Note: News about the conflict between Amazon and Hachette made me realize that I should diversify my book links instead of taking the easy route by usually linking to Amazon. I’m trying to direct readers to a variety of online sources for new and used books, including their publishers. I’m an Amazon seller myself, so I hope it’s settled fairly and soon. (I’ve tried to give both sides in these links.) Personally, I think if Hachette wants to take the chance of losing sales by holding to higher prices, that’s Hachette’s business. Literally. A page from 20,000 Years of Fashion: Packed with primary sources, photos, information — in color and black & white. 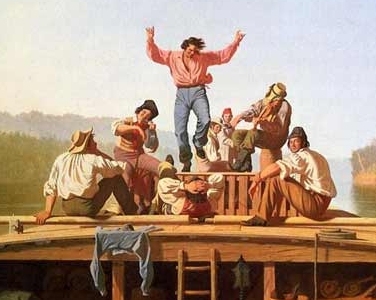 I’ve been seeing some comments, on The Vintage Traveler and other blogs, from people asking for costume research book recommendations, and I couldn’t resist offering some suggestions. Of course, a library is a very personal thing, and depends on its owner’s personal interests and goals. I helped a good friend list her library on Amazon when it came time for her to move to assisted living. 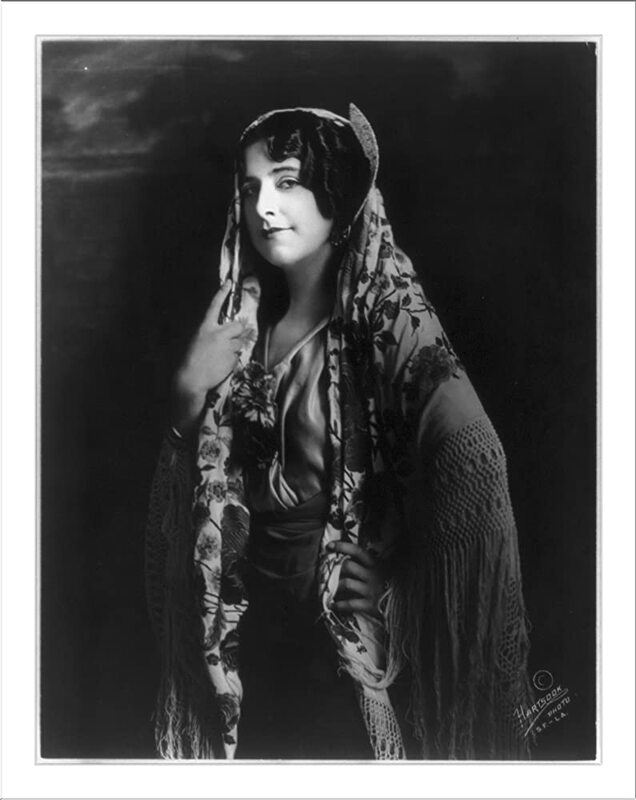 She was a vintage clothing collector, a docent, and a lover of ethnic textiles. 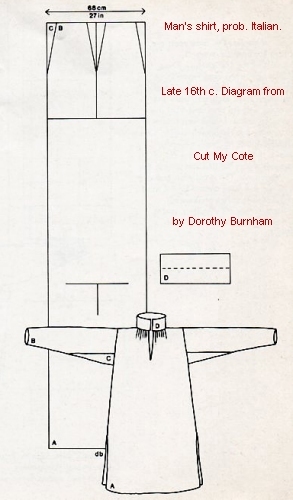 I was a theatrical costume designer. I’ve taught costume design, construction, and costume history classes; I’ve worked as a designer, a cutter/draper (i.e., a pattern maker), and a costume technician. Together, we had between five and six hundred books in our personal / professional libraries, but we had very few books in common! I, too, sold most of my professional library when I thought I had retired. Ironically, helping to inventory my friend’s clothing collection for sale made me realize that this is the field I know best, and I still have a lot information and experience to share, so here I am . . . . There are a few books I couldn’t bear to part with (20,000 Years of Fashion, The Costume Technician’s Handbook) — and many I wish I’d kept, like Everyday Fashions of… since I keep checking them out of the library now. 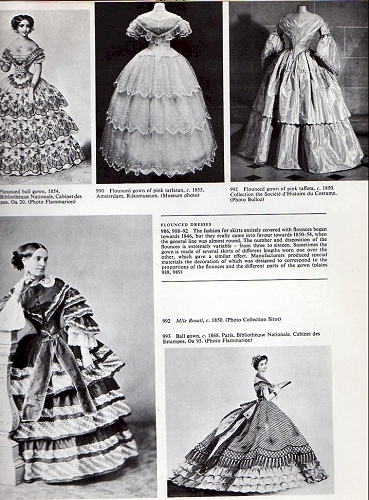 For a quick overview / refresher of periods, (American and European) loaded with primary source illustrations — one of the first costume books I bought and one I still have on my shelf 40 years later: 20,000 Years of Fashion: The History of Costume and Personal Adornment, by Francois Boucher. I have the 1973 edition — available online in used condition for under $20. A 1987 edition is also available. A big, heavy, wonderful, information-packed book, densely illustrated in color and black & white. 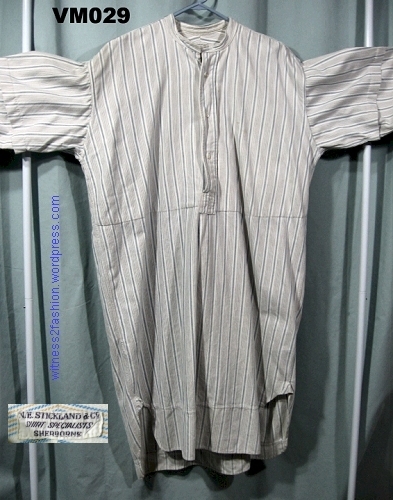 For Clothing Worn by Ordinary People: the Everyday Fashions series. 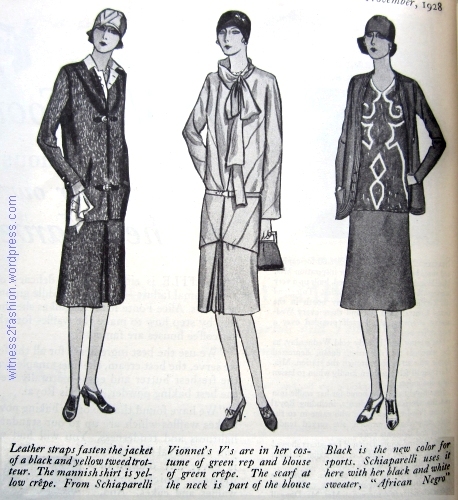 For twentieth century American fashions that were worn by ordinary people (not high fashion): Dover’s series of books that began with Stella Blum’s Everyday Fashions of the Twenties (and Everyday Fashions of the Thirties) from the pages of Sears and other catalogs. 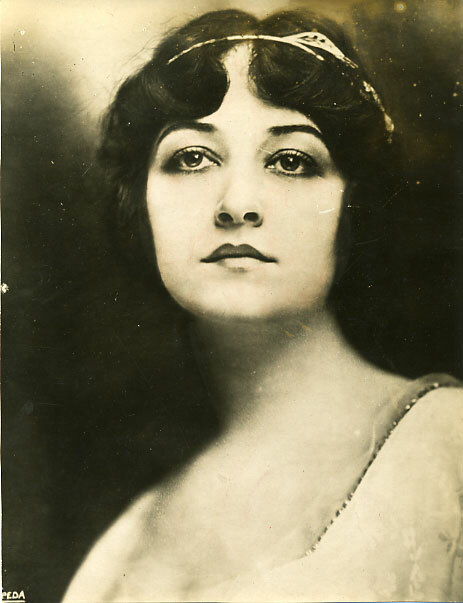 The series — trustworthy, dated, primary source material — is being continued by JoAnne Olian, with Everyday Fashions 1909-1920, Everyday Fashions of the Forties, Everyday Fashions of the Fifties, Sixties, etc.) These books are packed with period illustrations and photos of women’s clothing, some children’s clothing, menswear, undergarments, hats, shoes, and other accessories, with prices. Every professional costume designer I know refers to these books constantly. Used, less than $10 each. If you want to study vintage clothing and/or recreate authentic period garments: Janet Arnold wrote three superb books, all in paperback and relatively inexpensive: the series is Patterns of Fashion, by Janet Arnold. 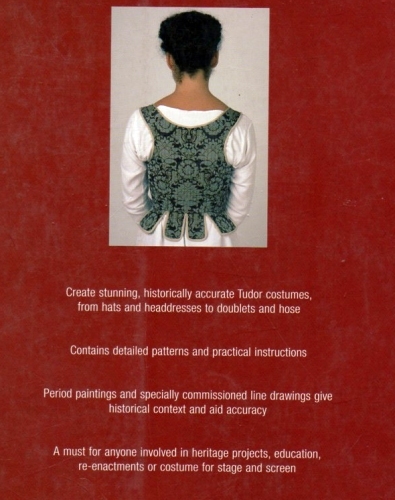 Patterns of Fashion is available in three volumes. 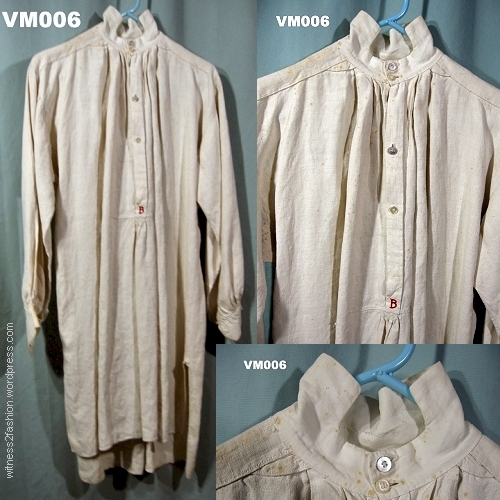 Patterns of Fashion 1: 1660 to 1860 (women’s clothing), Patterns of Fashion 2: 1860 to 1940 (women’s clothing), and Patterns of Fashion 3: The Cut and Construction of Clothes for Men and Women c. 1560-1620. 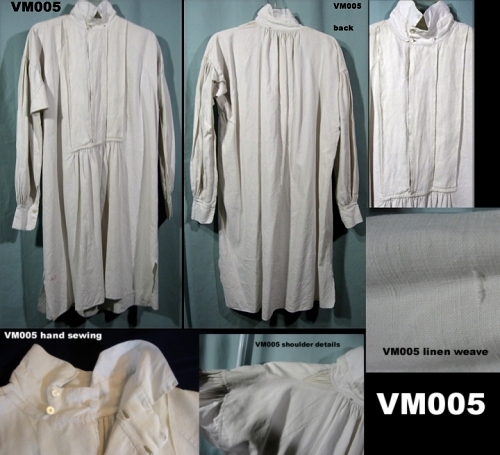 A fourth volume on shirts, smocks, ruffs, hats, etc., is available, but I haven’t seen it. [EDIT 2/5/19: The series is being continued. 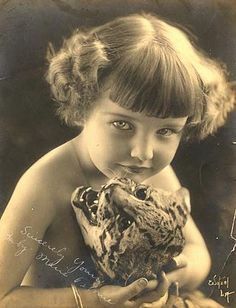 Click here.] 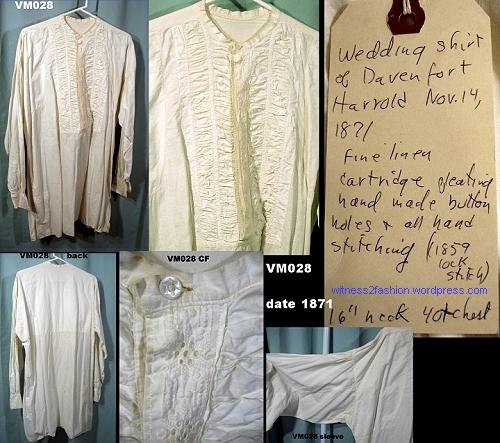 Arnold has produced detailed patterns, on scaled grids, with copious notes on the construction and trims, taken from actual garments in museum collections. Another virtue: these books are ringbound, so they lie flat when open! I was able to produce some terrific 1890s costumes (with the help of my high school students) using just this book (P of F 2) plus my own home sewing experience (which included volunteering as a stitcher for a very good costume designer — so I knew about flat lining!) You can find used copies of Patterns of Fashion 1 & 2 online at $20 to $30 each; the later books cost a bit more. 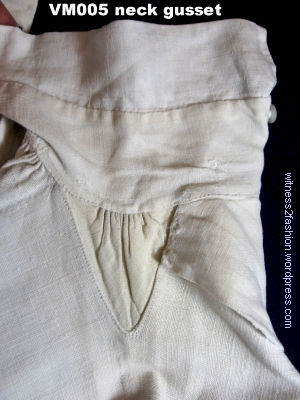 If you’re dealing in vintage clothing, understanding period construction — knowing what the insides should look like — is very important. 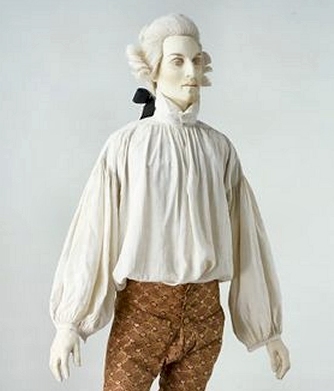 You’ll notice I keep using the words “Primary Sources.” A primary source is a text or illustration (or garment or photograph) made at the time the fashion was current. Clothing from Schiaparelli, Vionnet, and Schiaparelli, drawn and published in November, 1928. The Delineator magazine. 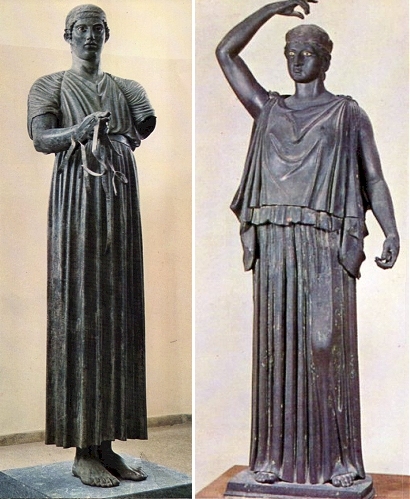 A secondary source is usually a drawing of an authentic garment, painting, statue, or photo, made at a later date. 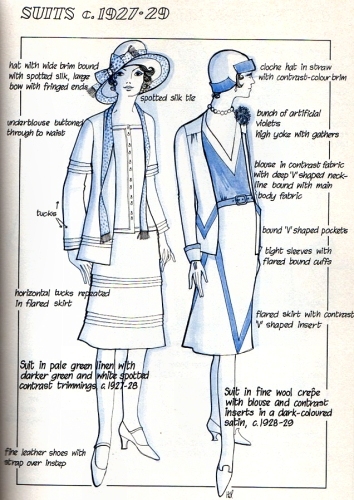 An example would be John Peacock’s Fashion Sketchbook: 1920-1960 , first published in 1970. 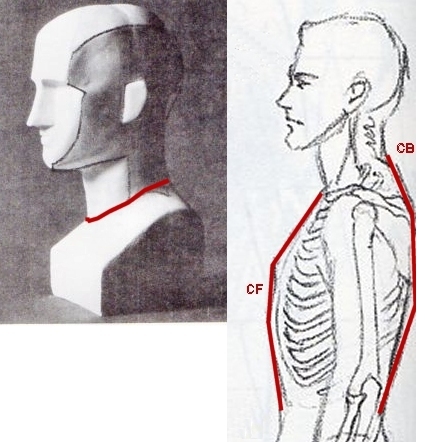 Drawings like this can give details not visible in photographs, and are very useful when combined with primary sources. However, not only our ideals of beauty, but our styles of fashion illustration can affect the accuracy of secondary sources in subtle ways. 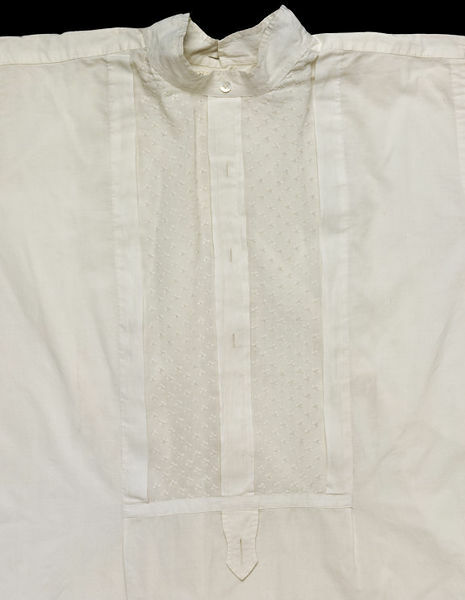 For example, many fashion fabrics in the 1960s and early 70s were stiffer than fabrics from the 1920s. 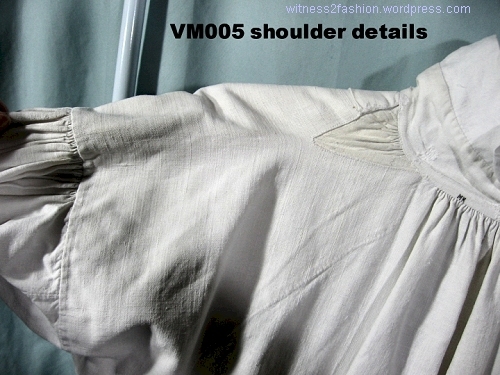 Photos of 1920s dresses show them looking a little droopy, like that Vionnet jacket above, rather than crisp like these. 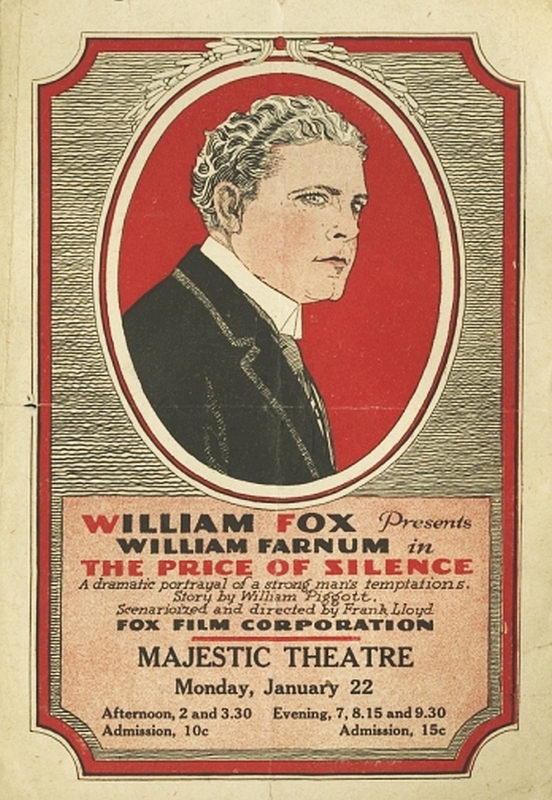 Suits for 1927-29, drawing by John Peacock. From his Fashion Sketchbook 1920-1960, pb. 1977. Image for review purpose only. Do not copy this image. 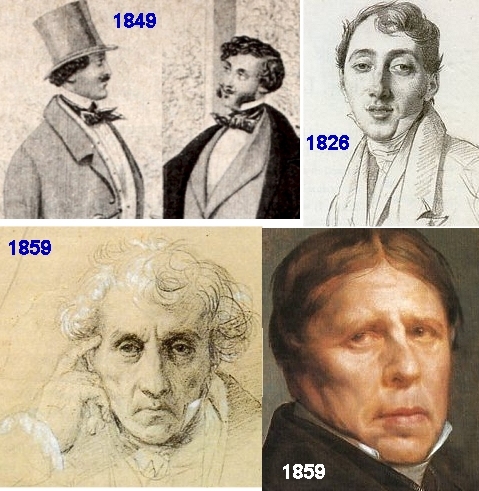 Also, illustrators will tend to select the clothing that is most attractive according their own era’s fashion ideal. Beware of Using Only Secondary Sources! Anne Hollander has written a big, fascinating book about the difficulty of putting aside our own, modern ideas of beauty and drawing exactly what we see. 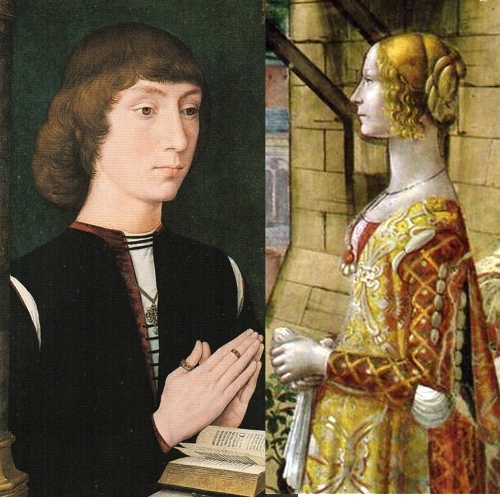 Even very scholarly fashion histories that are illustrated with secondary sources can be affected by this unconscious bias. 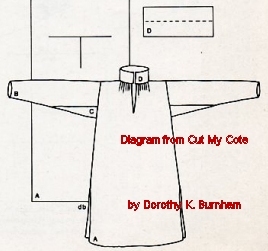 The Mode in Costume, by Ruth Turner Wilcox, is carefully researched, but the illustrations, drawn in the 1940s, sometimes seem to show an uncorseted 1940s figure. 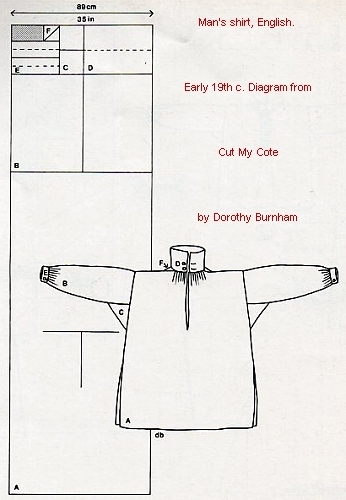 The drawings of corsets from Elizabeth Ewing’s Fashion in Underwear are also secondary sources, but they are technical drawings, not noticeably distorted to a 1970s figure ideal. 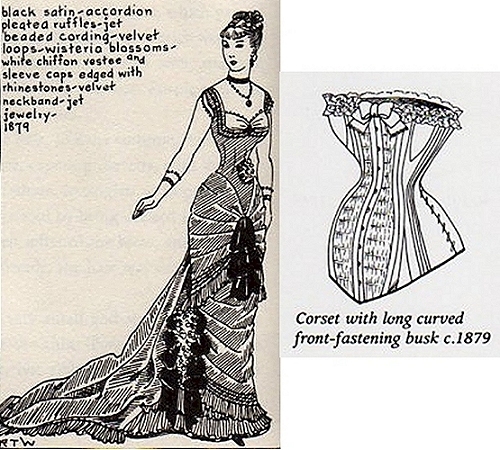 1940s Drawing of 1879 dress (The Mode in Costume), and technical drawing of an 1879 corset by Elizabeth Ewing, 1971. 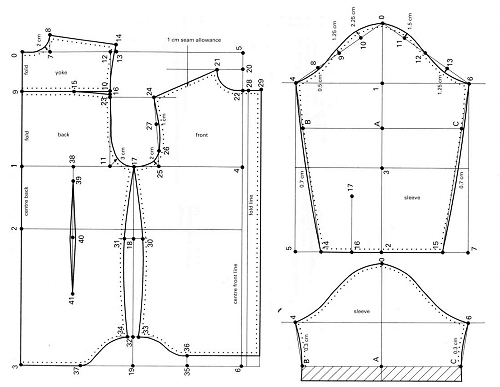 Notice the natural bust curve on the dress drawing, impossible in this corset. 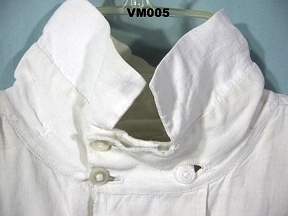 The bulging “spoon” belly of the period is also minimized. 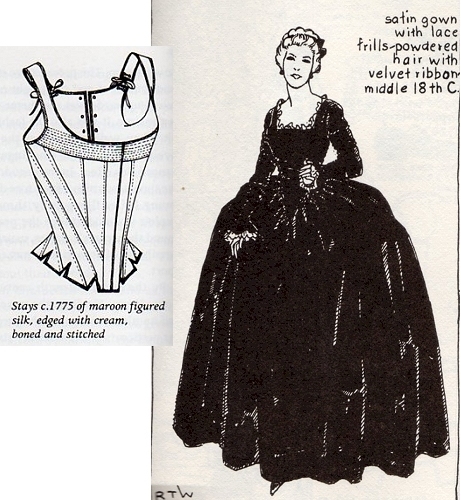 Straight-fronted 18th c. corset (Ewing) and 1940s drawing of 18th c. gown (The Mode in Costume.) I have made versions of similar 18th century corsets from Diderot’s Encyclopedia, published in the mid-to-late 18th c. They flatten the bust and push it quite high. See below. 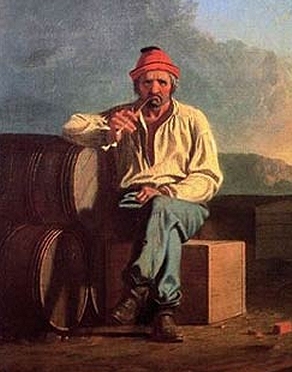 Secondary sources can be helpful, but only when used in addition to plenty of primary sources. 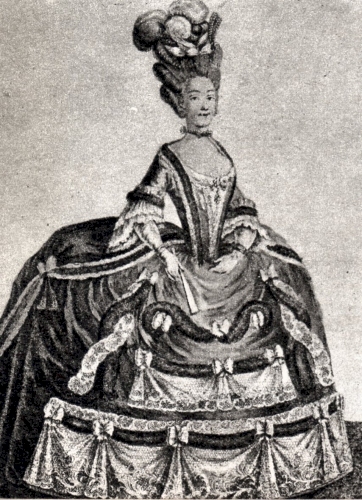 An 18th century fashion plate, from Encyclopedie Illustree du Costume et de la Mode. To be fair, this is later than the black gown above. We’ve all seen western movies from the 60s and 70s in which the women wear thick, black false eyelashes and have bodices with plenty of breast separation, cut to cling to a modern merry widow or “torpedo” bra. 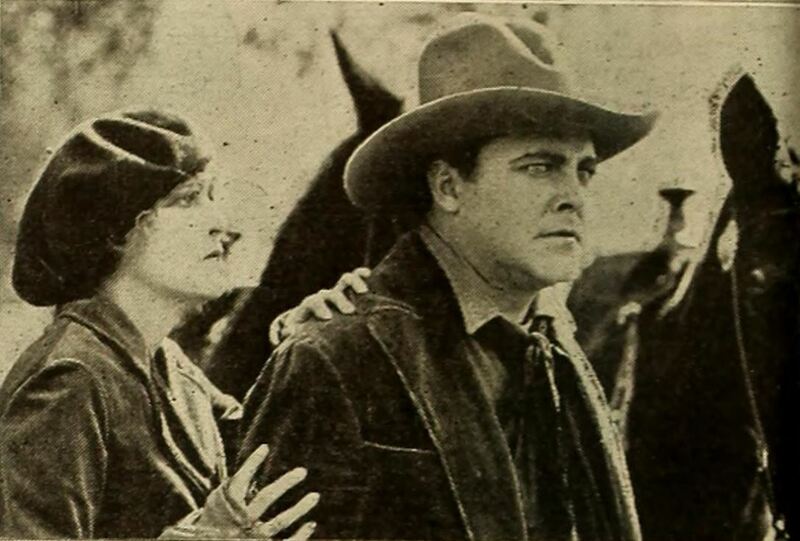 Of course, both the makeup and the clothing looked attractive when the movies were made, but now look obviously “wrong” to anyone who has studied photos of the Old West. 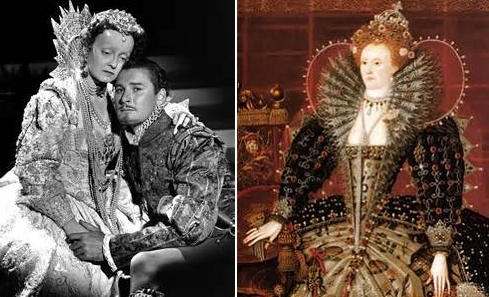 Bette Davis wore lavish costumes both times she played Elizabeth I, but Hollywood just couldn’t commit to authentic, flat-fronted underwear. Once I was visiting a “Great House” in England. The tour guide was proud of all the portraits of the owner’s Elizabethan ancestors displayed in the front hall. I thoughtlessly blurted, “Aren’t these Victorian paintings of people in Elizabethan dress?” “How did you know that?” the guide said, shocked that the secret was out. 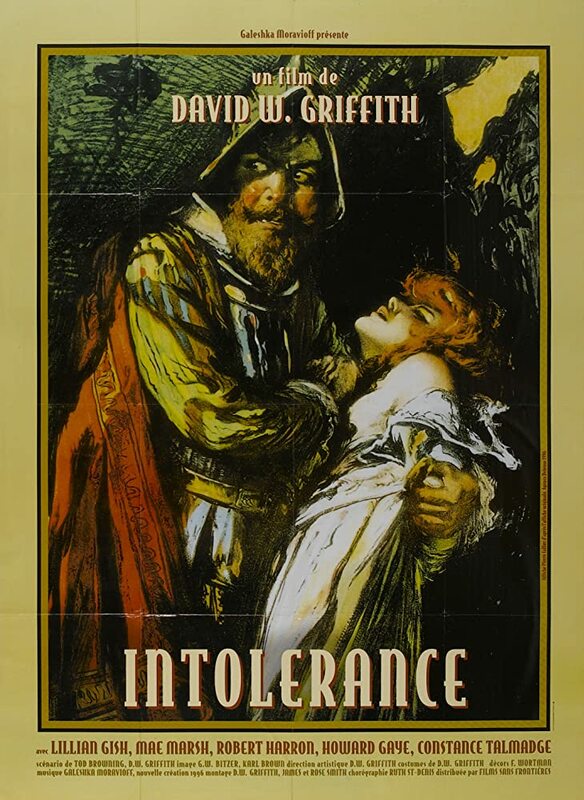 Well, they were wearing Elizabethan clothes, but their faces and hair(and corsets) were Victorian. 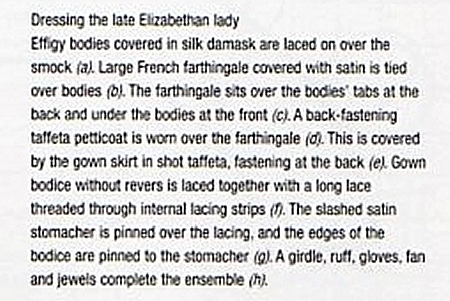 Those pictures were not primary sources for Elizabethan dress. These are some old favorites — basics — the books I would pack if I could just carry a few for working out-of-town for the summer. I’ll be thinking of more really useful books for another post.